Sure, you can use Power Query (or Get & Analyze, as it's now called) to load and transform data, but did you know you can loop over all of the files in a folder, combining their data into a single set of results? 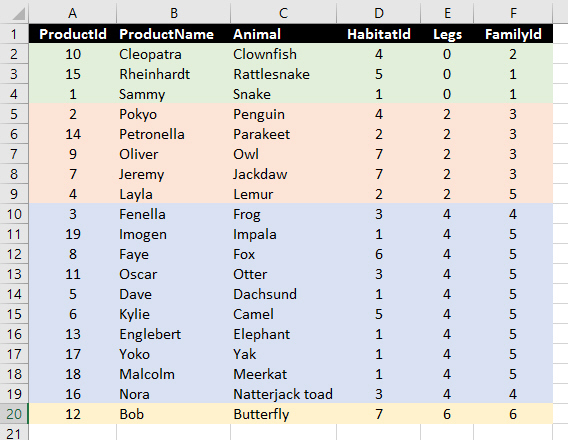 This blog explains how to do this for CSV files, and gives a lead for how to proceed with Excel ones. Or in Get & Analyze, as Microsoft have winsomely renamed Power Query in Excel 2016. 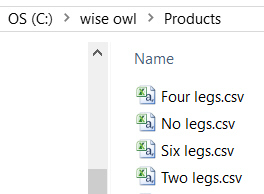 You have a folder which contains four CSV files, each of which contains different products. Actually, you don't have to imagine this; you can download the files used for this blog here. A list of products which have no legs (we're basically talking snakes and fish). In Excel it's easier to see the structure of the file. Power Query (sorry, Get & Analyze) has combined the rows into a single table. VBA Write a macro to loop over the files in Excel, opening each one up and pasting its contents onto the end of a list. SSIS Create a package in Integration Services to loop over the files in the folder, appending the contents of each onto the end of a workbook. That said, the method shown is actually pretty simple - the problem is that it only works for CSV files, and not Excel workbooks. Convert files to CSV Open your Excel workbooks one by one, and save each as a CSV file. Extend this blog to cover Excel You can write a custom query in the Power Query Formula Language called M, to combine Excel workbooks. It involves writing a function in M taking parameters, and is anything but straightforward. The best explanation of how to do this that I've found is here. And with all those explanations and warnings, it's time to show how to solve this problem!